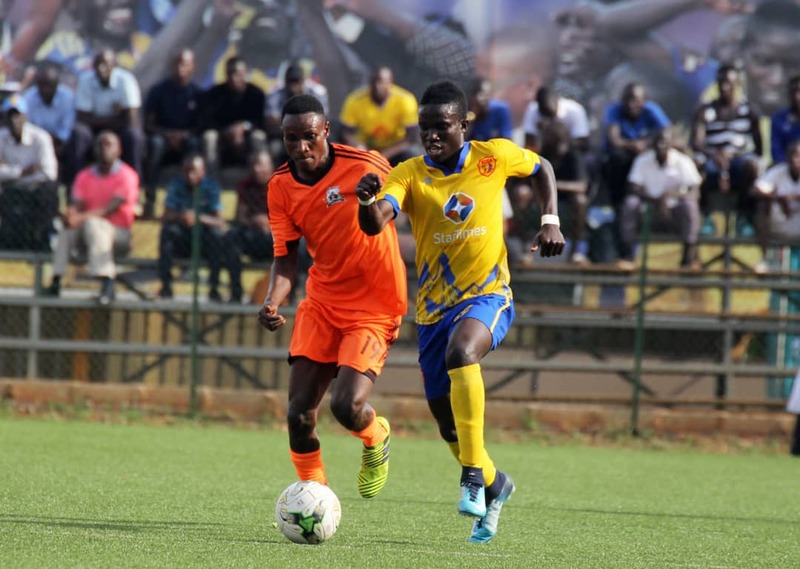 KCCA FC kick-started their 2018/19 Uganda Premier league season with a win over Tooro Fc at the Startimes Stadium in Lugogo. Young star-Allan Okello and in form striker Patrick Kaddu were both on target as KCCA raced into a 2-0 lead. Soana found the back of the net through Allan Kayiwa late in the game but could not force a draw despite several opportunities coming their way. Okello’s goal in the 8th minute made the Kasasiro boys a better side in the first half as KCCA dominated the whole time denying Bossa’s side any chance to score. Kasasiro Boy’s tactician, Mike Mutebi was forced to take off Julius Poloto after just 11 minutes and replaced by Muwadda Mawejje after the U20 national team Captain sustained an injury. KCCA took their 1-0 lead into halftime and Mutebi made another change a few minutes into the second with Ibrahim Saddam Juma taking over from Lawrence Bukenya. Saddam Juma made an instant impact when he found his way into the penalty area and was brought down. Referee Wilberforce Oloya pointed to the spot but Patrick Kaddu’s effort was punched away by Mutakubya for a corner. However, the striker couldn’t be denied twice as he sent a powerful header from the resultant corner kick gave KCCA a 2-0 lead. Allan Kayiwa scored a consolation for the visitors in the 76thminute while Steven Omvia was denied a chance to equalize when his goal-bound effort was cleared off the line by Timothy Awany. Winger Godfrey Lwesibawa had the opportunity to level matters moments later but shot wide with the goal at his mercy as Tooro pressed for the all-important second. Omvia also had another chance to draw the visitors level as well as Simon Sserunkuma but the KCCA defence did well to clear their lines. The hosts did just enough in the last minutes to hold on for a first win of the new season. Mike Mutebi. “Tooro FC gave us a very big challenge, most of the players are experienced but am happy the boys put up a good performance. “They were very confident, Allan ‘the special one’ was very impressive and its good for a young boy like him. Bbosa Waswa. “It was our first game on the turf, my boys lacked concentration especially in scoring. “The next match i believe my boys will display a good performance and we shall try to correct our mistakes.